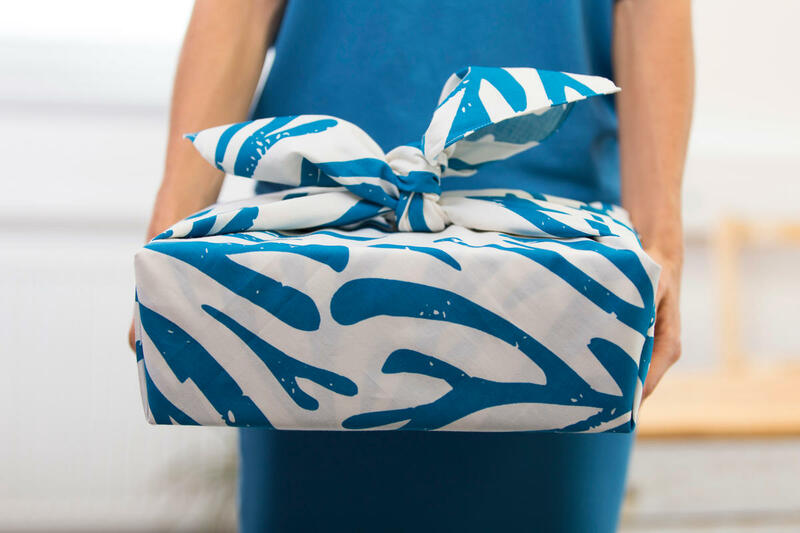 Ecological gift packaging to a wrapping cloth made from organic cotton by furoshiki method. The original cloth design is based on the Tierra Verde logo. 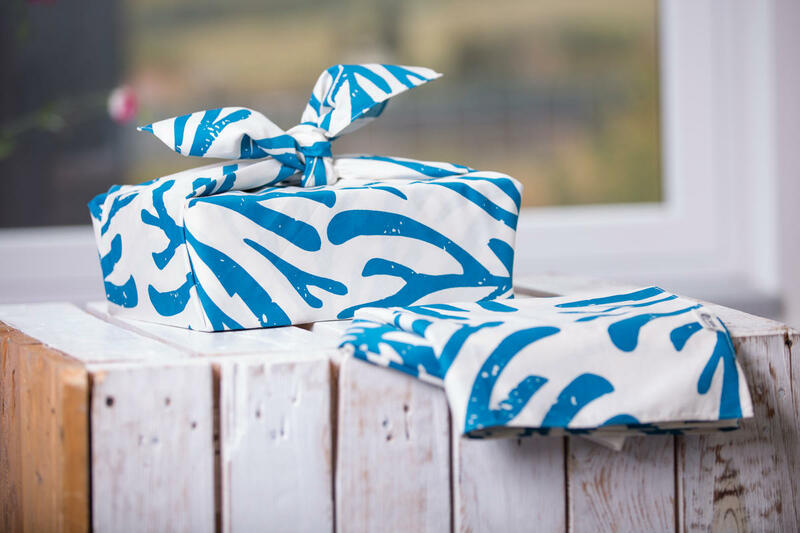 Furoshiki is the perfect method for wrapping birthday or Christmas presents in an original, ceremonial and eco-friendly way. 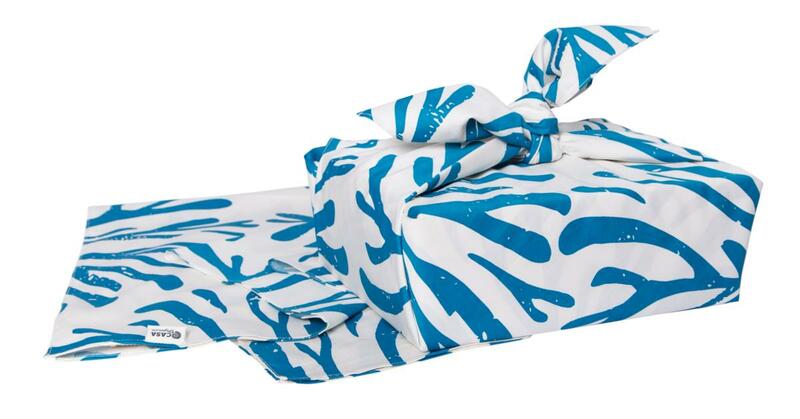 Furoshiki was invented in Japan and has gained huge popularity worldwide recently due to an ever increasing interest in environment protection.You can wrap basically everything with this cloth, e.g. presents in boxes, books or items with atypical shapes. The final look will always be that of elegance and beauty. The person receiving the present will in fact receive two gifts, the second being the cloth itself as it can be used beyond its original scope. 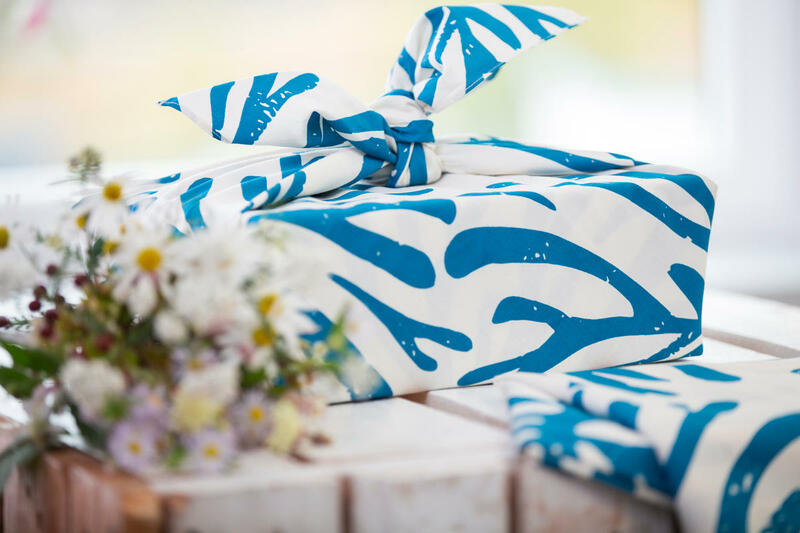 Our wrapping cloth is universally applicable and may just as easily be turned into a shopping bag or a tablecloth. The term Furoshiki ( 風呂敷 ) is used to describe a square piece of cloth or fabric which originally dates back to the Japanese Nara period. Originally, the Japanese people used furoshiki for wrapping up their clothes when visiting the local bathhouses. Due to their practicality, the furoshiki cloths quickly began to be used also for other purposes and to an extent which may be seen as the predecessor to today's shopping bags. Even today, the Japanese sometimes use these cloths to wrap their lunch boxes. It is perhaps not very likely that you would start wrapping your lunch to work or school into a neat piece of fabric, but you may use the Furoshiki wrapping cloth for wrapping presents. It is very easy, just try it! The following video gives practical instructions and tips on how to use Furoshiki wrapping cloths. Subject * Product inquiry Wrapping cloth – Furoshiki RMA Misc.